Some thoughts on our responsibilities as both anglers and people in making sustainable choices. I can recall fishing as a youngster in the local canal, a waterway that contained all manner of fish species. Carp, Tench, Rudd, Roach, Perch, Bream etc .There I was, rod in hand, a bait of bread paste dangling under a bright orange tipped float, waiting with “anxious anticipation” for the float to dip indicating a bite. behaving in a sustainable manner. A gentleman walking his dog along the side of the canal and obviously in gregarious and cheerful early morning spirit enquired “what are you fishing for? “ to which I replied, (I thought rather cleverly at the time)…..”Fish”. Of course I now know that you can “predict” to a fair degree what species you catch depending on what bait, set up and location you choose. That in short, fishing, isn’t quite the lucky dip process that I thought it to be as a small child. Many anglers can tell what fish they have on the line well before actually seeing it, the fight of a grayling and a trout are notably different, the speed of a skipjack, easily distinguishes it from the initial run of a leerfish. Odd then perhaps that although we can tell what fish we are likely to catch, before the line ever goes tight, and more so that we can tell what is on the line before we actually see it , it is a concern that most of us can’t tell what fish is on our plate. Truth be told it isn’t entirely our own fault, people have been fibbing about fish for as long as they have sold them for food. Back in the day, my local fish and chip shop sold “Rock Salmon”. There is of course no such thing and Rock Salmon, turns out, actually, to be dogfish, a small shark. Vendors quickly realized that “Rock Salmon” sounds a lot more palatable than “Fried Shark”. Covered in batter and served up with a plate of chips who’s to know, or even care for that matter? 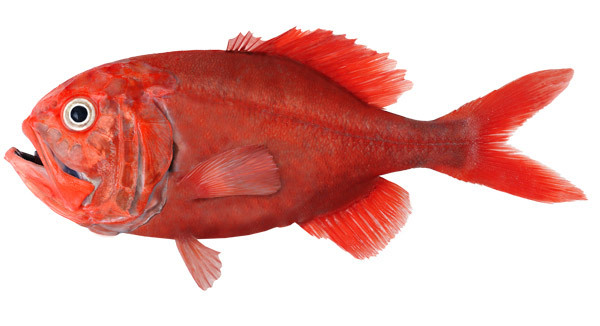 The Orange Roughy is estimated to live for up to 150 years, it is slow growing and late to mature, discovery of this resource was almost immediately followed by over fishing and collapse of many populations. Chilean Sea Bass, (another entirely fictional name created by the marketing department to make it sound better), turns out to be Patagonian Toothfish, whilst Orange Roughy, the poster child of unsustainable fishing practice still gets flogged off as “Deep Sea Perch”. The name carefully selected, because most of us know that you shouldn’t be eating a fish that could be 150 years old, and one that due to slow growth and breeding make it extremely vulnerable to overfishing. You might be amazed, as was I, at how many recipes there are on line for Orange Roughy. It is a bit like having recipes for poached Dodo or Grilled Galapagos Tortoise freely available, although at least in this instance people are being honest. Trouble is that many are not and what you get on your plate may very well not be what you thought it was. So the first question then is: “Why would it matter?”. I mean if your “buttered hake starter” isn’t what it said but it tastes nice, who really cares? The answer in short is that you should care, not because of any effect on your culinary enjoyment, but because, as I was to discover as a child, a fish is not just a fish, not all fish are equal and not all methods of catching them are equal either. In a world which desperately needs to focus more on sustainability; eating an Orange Roughy snuffs out a lifespan potentially twice as long as yours, and the breeding potential that goes with it. Eating a sardine probably doesn’t do a lot of harm. Put into perspective, most people would be pretty upset if they found out that their filet mignon was actually banded armadillo, so why not be concerned about the fish that you eat? There have been initiatives around the world to better inform consumers of what fish they should and shouldn’t eat. Such as the SASSI (South African Sustainable Seafood Initiative) lists which delineate fish types based on the sustainability of both the resource and the method of capture. You will also find a useful and FREE cellphone app to help you select sustainable seafood choices, just search SASSI on your preferred App Store. Sustainability isn’t simply about fish stocks and breeding rates, but also about damaging by-catch, environmentally destructive fishing practices, and much more. Even farmed fish may very well be causing damage to the oceans as a result of depletion of food resources harvested to make “fish pellets”. It isn’t simply a question of what fish you eat, but how they were caught, what they were fed, and even where they were captured. Sustainability isn’t just a case of the fish stocks but also the fishing methods, the negative affects of by-catch being one of many parameters to consider. By the way “By-catch” is a nice sanitized euphemism (rather like “friendly fire”, or “quantitative easing”) for the destruction of unwanted species, fish , mammals and birds, as part of the fishing process. 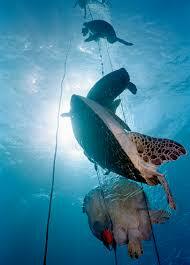 Turtles, Dolphins, and countless unwanted or undersized fish are slaughtered as a result of some fishing methods, which means that even if the targeted fish stocks are sustainable the fishing methods are not. It is becoming increasingly obvious that the web of life and the interconnections between various aquatic fauna and flora are far more complicated and interrelated than was once imagined. But people are becoming more aware, which is good. What isn’t good is that with your new found knowledge you are still at the mercy of the unscrupulous if you can’t tell what is on your plate. The Marine Stewardship Council is a seafood certification and eco-labelling non profit organization aiming to label seafood such that consumer confidence in what is actually part of your dinner is enhanced. In effect tracing seafood from point of capture to your plate. On Wednesday they launched a campaign to raise awareness of “Seafood Fraud” , urging consumers to ask questions as to the origin of their seafood. Questions we all need to ask and understand. It is estimated that world wide some 30% of all seafood is mislabeled, but DNA testing of MSC certified seafood showed a 99% correlation, proving that careful monitoring insures that you get what it says on the packet. We have seen a number of food fraud scares of late, horse meat being flogged off as beef and such, most of the outrage more about people’s attitudes towards consuming one species but not another rather than anything to do with sustainability. With seafood the fraud has more far reaching consequences. Supporting unsustainable fishing practices may very well contribute to the ultimate destruction of the oceans and with that the destruction of ourselves. Checking that what seafood you consume is, indeed, what it says it is, is a step in the right direction towards protecting our planet and the animals which share it with us. MSC educational resources for kids. 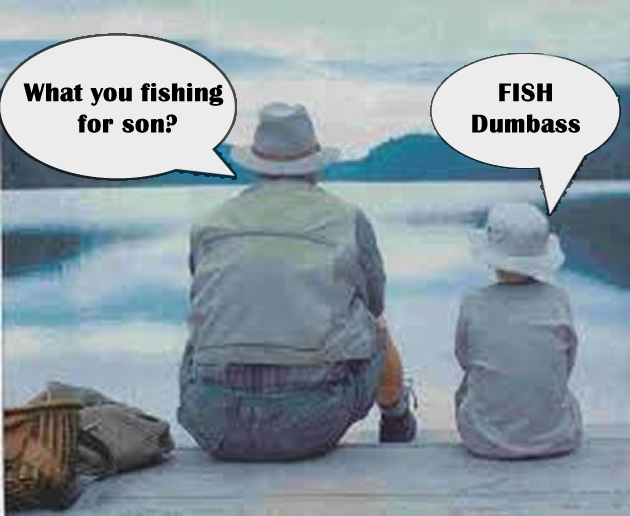 Teach your children about sustainable seafood. 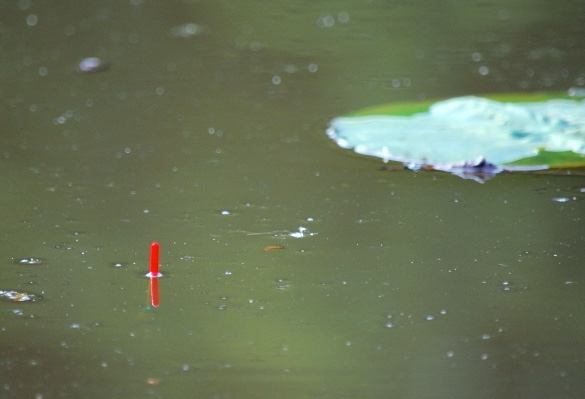 Don’t forget to look out for the MSC “fish tick” label that tells you the fish have been harvested in the most environmentally sustainable manner.